Adjacent to Dollywood theme park, Dollywood’s Splash Country water adventure park is situated on 35 acres in the foothills of the Great Smoky Mountains. It features an 8,000-sq.-ft. lagoon-style leisure pool, a 25,000-sq.-ft. wave pool, interactive children’s play areas, and RiverRush - Tennessee's first and only water coaster! Come and enjoy the wet and wild fun this park has to offer! RiverRush is Tennessee’s first and only water coaster. Adjacent to Dollywood theme park. Arrive early to avoid long lines. Bring plenty of towels and a change of clothes. Visit Riverside Trading Post store for forgotten items. From the excitement of giant water slides to the serenity of a poolside retreat, Dollywood’s Splash Country offers 35 acres of summertime fun. Adjacent to Dollywood, Dollywood’s Splash Country is in the foothills of the Great Smoky Mountains. Named by The Travel Channel as one of the country’s best waterparks, it features a variety of water slides and attractions—from mild to wild—including TailSpin Racer, a six-lane mat racer; RiverRush, Tennessee’s first and only water coaster; The Cascades™, an 8,000-sq.-ft. lagoon-style pool; Fire Tower Falls™, the state’s tallest twin speed slides; Bear Mountain Fire Tower™, an interactive water adventure; and the Downbound Float Trip, a lazy river. The waterpark operates mid-May to Labor Day. Operating days and hours vary. 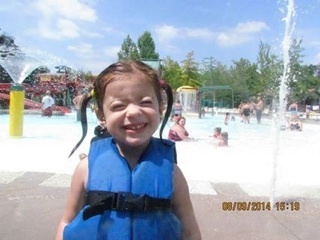 Is Dollywood’s Splash Country wheelchair accessible? Are wheelchairs available for daily rental? If so, what is the cost? A limited number of wheelchairs are available for rent. Reservations are not taken; they are rented on a first-come, first-served basis, and cannot be carried over to the next day (on an "After 3, Next Day Free" ticket). Wheelchairs are available for an additional fee. For the safety of our guests, children must be 13 years old or older to enter without an adult. Children 12 years old and younger must be accompanied by a chaperone 16 years old or older. Unescorted children will not be admitted to Dollywood’s Splash Country. We have two sizes of all day lockers for your convenience, even a family size locker! Regular size lockers and family size lockers are located throughout the park and sold for an additional fee on a first-come, first-served basis. What are the parking fees at Dollywood’s Splash Country? Does my infant need to wear a swim diaper? Yes, swim diapers must be worn by babies/toddlers not yet potty trained. Swim diapers are available at Riverside Trading Post for purchase. Are coolers or outside food or drink allowed at Dollywood’s Splash Country? No, after careful consideration of park policies across the nation, consultation with health and safety experts and much consideration of the welfare of our guests and employees alike, we are unable to allow coolers, food or drinks into Dollywood's Splash Country. Although we do not allow food or drink to be brought into the park, Dollywood's Splash Country offers a wide variety of delicious foods available at our restaurants and snack vendors. (Special dietary needs should be addressed with the Safety Office prior to arrival.) However, if you would like to eat elsewhere or must leave for any reason during the day, remember to get your hand stamped, then you can return later that same day. Dollywood's Splash Country does not have picnic areas at the park. However, Dollywood’s Splash Country has picnic tables outside the Front Gate if you choose to leave the Park to have a picnic. What is the park’s attire policy? Only swimsuits are allowed on the water attractions. No swimsuits with buckles, rivets, or any sharp objects. No denim, corduroy or cutoffs allowed. Shirts are not permitted on the body slides (no exceptions). Thong swimsuits are not permitted. Shirts with profanity are not permitted. Additionally, Shoes, sandals or footwear with buckles are not permitted on the attractions. No footwear may be worn on the Mountain Scream, Wild River Falls, SwiftWater Run, The Butterfly or Bear Mountain Fire Tower. Water shoes or similar footwear is acceptable on all other attractions. Yes, you will need to have your hand stamped at the exit. A limited number of single strollers are available for rent (an additional fee) on a first-come, first-served basis. 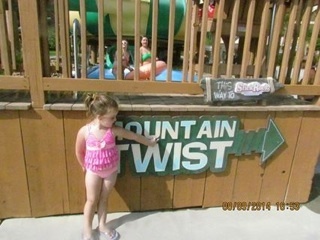 Are there First Aid Stations located at Dollywood’s Splash Country? Splash Country has a First Aid Station located near Big Bear Plunge with medical personnel on duty at all times during park hours. Yes, baby Care Centers, located near Big Bear Plunge and The Cascades, offer nursing areas, changing stations and family restrooms. Are towels available at Dollywood’s Splash Country? Towels are not provided but are available for purchase, if you need one. We recommend bringing one with you. Are pets allowed at Dollywood’s Splash Country? Although pets are not permitted inside Dollywood’s Splash Country’s guests have access to Dollywood’s one-of-a-kind kennel, Doggywood. The daily rental fee provides each dog its own water supply, and a walk area is located adjacent to the building so owners can spend time with their pets without having to leave the park. Space is limited, and reservations are highly recommended. Please call 865-428-9826 during Park operating hours. Without a reservation, all kennels at Doggywood will be offered on a first-come, first-served basis. *Please note: Doggywood can only accommodate dogs. Service animals for Guests with disabilities are allowed inside Dollywood’s Splash Country. Does Dollywood’s Splash Country offer rain checks on tickets? If adverse weather conditions significantly affect Park operations and your visit is shortened because of it, you can request a rain check—just ask before leaving. Rain checks are distributed at the Front Gate and are valid until the end of the season. Rain checks are not distributed later if you don't ask the day you are at the park. Can I bring in personal flotation devices? Tubes are provided at no additional charge on a first-come, first-served basis for the wave pool, lazy river and tube slides. No personal tubes, noodles or floats will be allowed in the water including children's "water wings," "floatation seats," "inflatable rings," or "bubble packs." 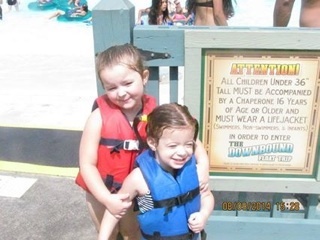 Are life vests provided at Dollywood’s Splash Country? Life vests are provided at no additional charge and will be required for non-swimmers and small children at the direction of the Lifeguards. Personal life vests must be USCG approved and in good condition. Water wings, floatation seats or bubble packs may not be used. Life vests are strongly recommended for non-swimmers and weak swimmers. Why do my E-Tickets only have one name listed on them?